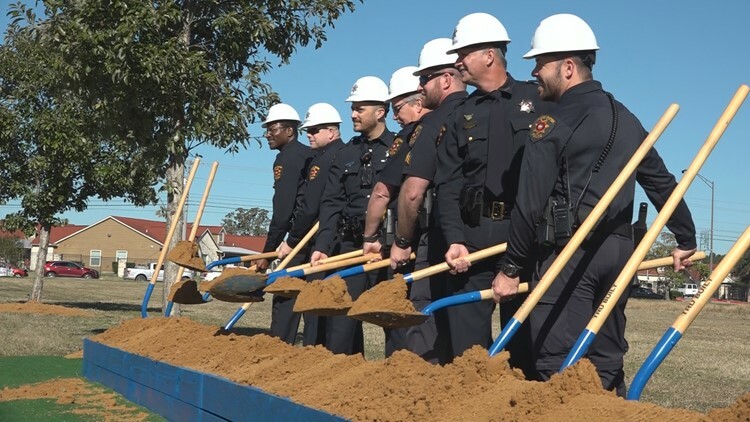 COLLEGE STATION, Texas—After five years of planning, the College Station Police Department held a groundbreaking ceremony on Friday for their new police station. City leaders joined police officers to “turn dirt,” symbolizing the kick-off for construction of the new facility. 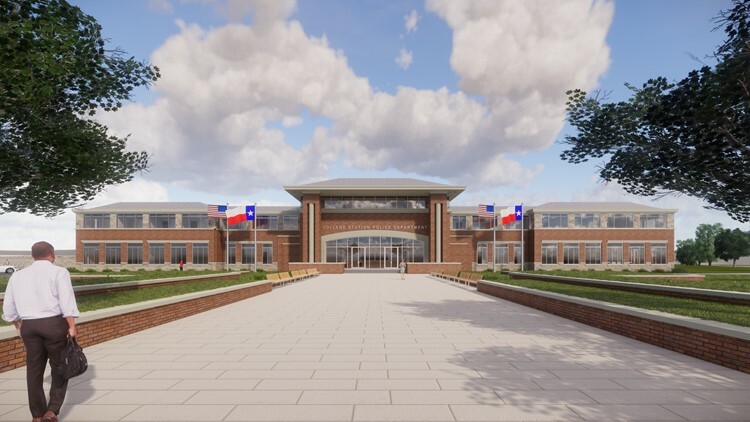 Officials shared the architectural renderings of the new 74,641 square foot facility that will be located at the corner of Dartmouth and Krenek Tap road. College Station Mayor Karl Mooney said the new station is an investment in the future of the city. “We were providing not just for today in the City of College Station, but way into the future—that’s visionary,” said Mooney. Police Chief Scott McCollum said the vision for the new station is to meet the growing needs of the community. “It’s a once in a lifetime opportunity to start from the ground up and not only create a new home for our employees but to create a place that will serve our community for the next 30 years,” said McCollum. Construction will begin immediately for the new station that’s anticipated to be completed by 2020. “We want this to be a facility that years from now, we’d know we won’t have regrets. It will still be able to service our police, our police department, it’s growing needs, and the growing needs of our community,” said Mooney. City officials said the construction budget for the facility $24.8 million with a total budget of $29.5 million.